Man, being originally created in the image and likeness of his Elohim, was surely brought forth to exist forever within this element of freedom (Gn 1:26). As we know the knowledge tree appears in Genesis, chapter 2, where we also find the so-called second report of creation, a story that is characterized by vapour / water, while the first report (chapter 1) was characterized by light. The Hebrew word for truth (אמת emeth) appears in the form of 1 + 40 + 400, which indicates a certain relationship between man (1 + 4 + 40) and truth. And than the Lawless will be revealed, whom the Lord Yeshua will do away with by the spirit of his mouth and destroy by the manifestation of his presence. But the Lawless one’s presence will be according to [an] operation of Satan in all power and lying signs and portents and in all unrighteous deception for those that perish, as a retribution because they did not accept the love of the Truth [true Messiah Yeshua] for their salvation. And for this reason Elohim shall send them an operation of error so that they will believe the Lie [embodied in the pseudo Messiah], that all may be judged, those who did not put faith in the truth but delighted in unrighteousness. Once again we return to Romans 8, the Scripture where the promise is given which applies to the creation, in particular referring to the true children of God. From verse 17 we must conclude that the sons of God will have everything to do in the achieving of creation’s expectations: For the eager expectation of the creation awaits the revelation of the sons of God. However, according to Thora an action like such was for her an unprecedented act, given her impure state. In that situation, contact with anyone was forbidden, for not to transfer her uncleanness to that person. Nevertheless, with faith she goes out among the crowd and manages to reach Yeshua and to touch him. 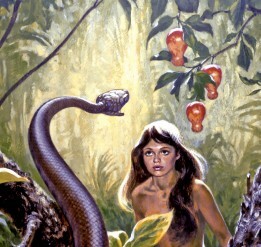 And she is confirmed in her faith: immediately the fountain of her blood dried up. 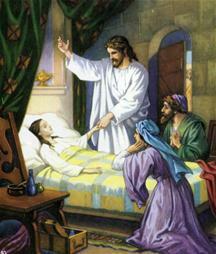 She sensed in her body that she had been healed of the grievous sickness.